New Dual Purpose Pro comes with sight glass and dial thermometer upgrade for home distillers. 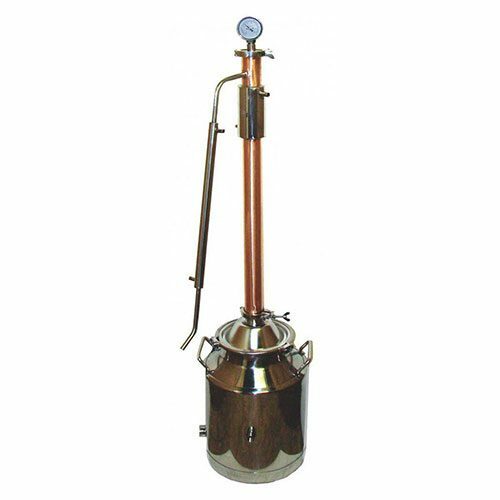 8 Gallon with Copper 2 Inch Diameter Dual Purpose Pro. This copper moonshine still Dual Purpose Pro still includes sight glass. 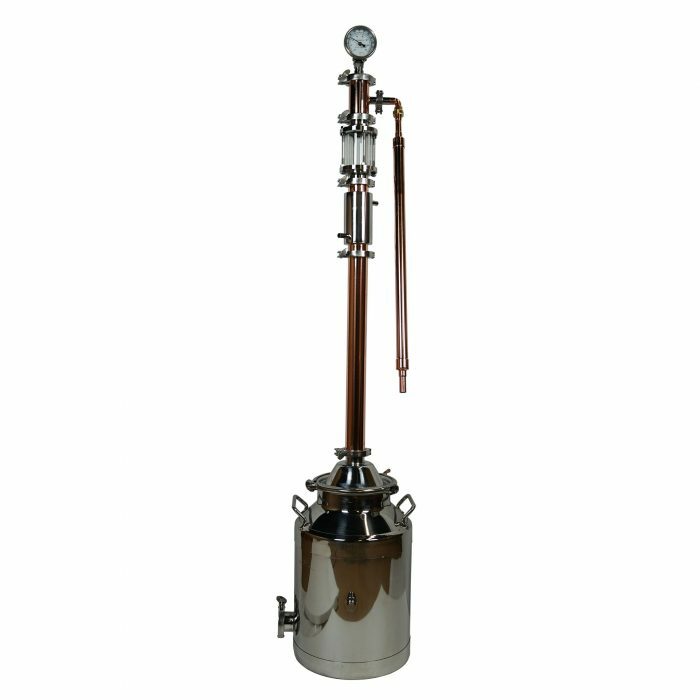 You can use this sight glass as an infusion chamber or gin basket to hold botanicals. 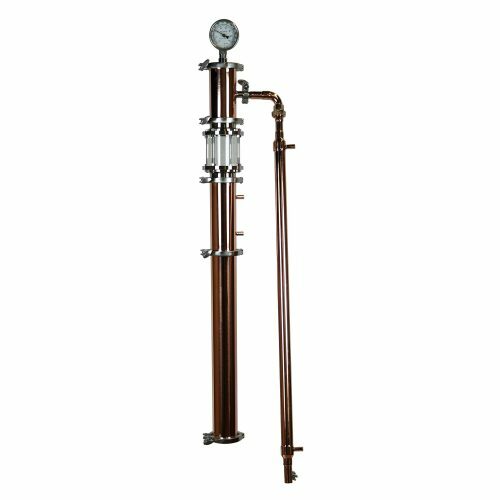 You can also clamp in sight glass below the reflux condenser to watch the reflux action. 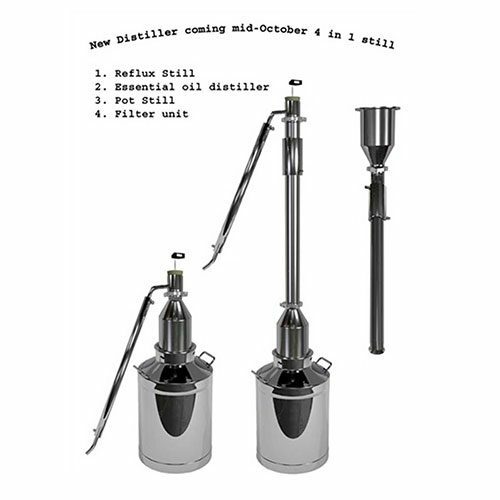 A great way to infuse the vapor to increase the flavor in the distillate. 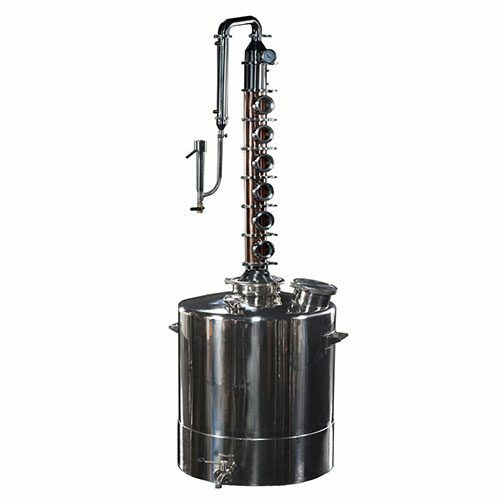 Run a peach brandy and add some fresh peaches into the sight glass to infuse the vapor with the taste of fresh peaches or add cinnamon sticks, herbs, and spices to make a spiced whiskey or juniper berries and spices to make a gin. Be creative and make your own infusions. 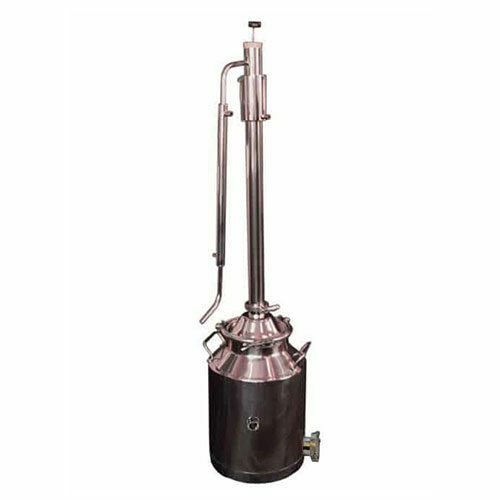 Eight gallon milk can with 2″ port for heating element. 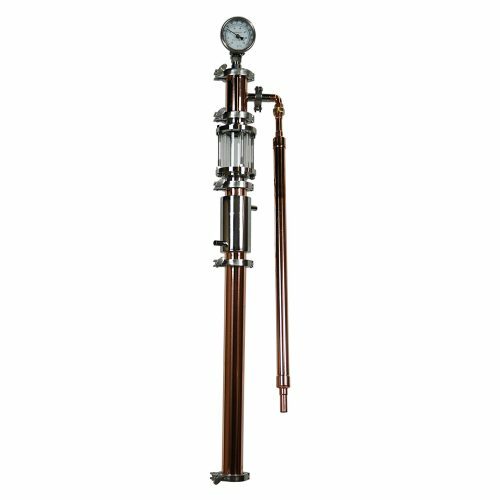 Also includes cap, clamp, and gasket to cap off port and be used with a gas burner or electric hot plate.